I joined Twitter because of frequent flyer miles. I kept trying to use my miles and failing, due to blackout dates or not having enough points to go where I needed to. The use-em-or-lose-em deadline came up on one particular airline, so I accepted an offer to sign up for some magazines. In addition to a hefty increase in junk mail, I began receiving Wired Magazine – and my synapses started firing at a million miles per hour. This was around 2006. I’d find myself suddenly having breathless conversations with the few people around who would listen about technology and the science of networks and other similarly nerdy stuff. This really wasn’t like me, but then, I was late to the game for a couple of reasons: for one, I spent the 1990’s in El Salvador and there was not much Internet or Wired magazine available there at the time. Secondly, I’d always been much more of an alternative music/ development/ social sciences geek than a computer / video game geek. But something had changed since high school and college. There was Radiohead for starters… but on top of that, it became strikingly clear to me that things were aligning in a way I hadn’t seen before. Tech could really have a social purpose. In Wired, I started reading about the idea that the Internet was horizontal, that things could be free, that people could collaborate in self-organized nodes, that social media could bypass ‘official’ pronouncements and allow alternative voices and ‘citizen journalists’ to be heard. I started thinking about how many of the principles and philosophies behind social media networks were closely aligned with those underpinning participatory approaches to development: self-organizing, community-led processes and self-management, accountability and transparency, ownership, learning by doing, building on local knowledge and localized expertise. I got hooked on trying to link some of the ideas that were fueling social media and online networking with the work that the organization that had been employing me for several years (Plan) was facilitating with young people and communities. I started reading blogs about technology and aid, and I began writing one too. Over time, my initial interest broadened to how new technologies — not only social media networks, but also new tools like mobile phones and GPS units and digital maps and all kinds of other new tools and platforms — could be put at the service of community development. In large part, the reason for the branching out and wider perspective was that in December 2008, a couple of development and technology leaders/ bloggers/ mentors (Ken Banks and Erik Hersman) gave me a suggestion. “Get on Twitter,” they said,” if you really want to keep up with what is happening.” I was wary of the platform, so instead of my real name, I used the name of a kitten we used to have – @meowtree – also a bit of a play on my last name. Quickly I realized there was nothing to fear. Twitter opened up a whole world at the professional and personal level. I found all kinds of people from a variety of disciplines and backgrounds who were discussing, debating, trying, failing, learning, blogging, and collaborating on a variety of projects related to technology, human rights, global development, community work and other fields I am very interested in. Joining Twitter was like signing up to get an online degree in a very specialized field, where everyone was both teacher and learner. The quantity of information and knowledge shared among practitioners and theoreticians in my field and related areas was infinite, as were the ranges of opinions. Through Twitter I’ve had the opportunity to work on voluntary side projects and connect with experts and practitioners for research and professional or personal advice. Sometimes a number of us join together to get across a certain point that we feel strongly about, and it ends up getting to the ears of someone who’s making major decisions or it gets brought up by individuals in personal conversation, spreading the ideas offline. 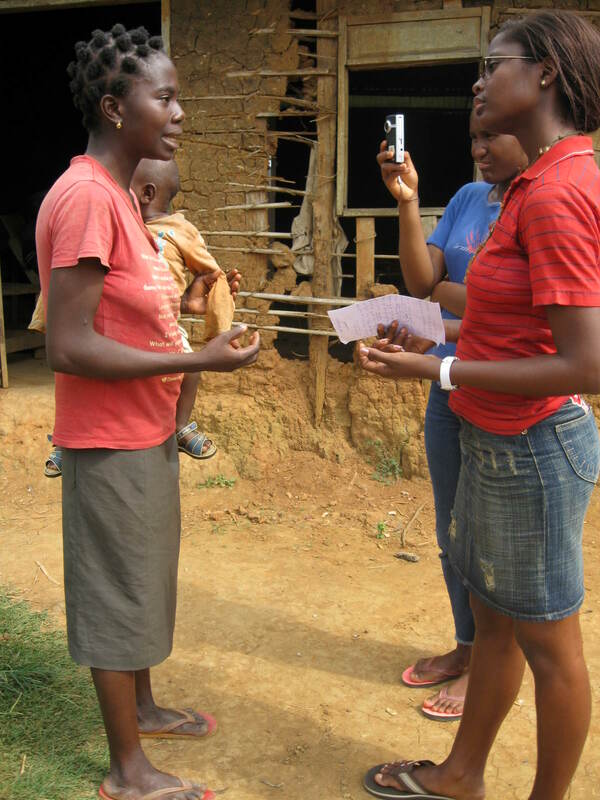 A group of Twitter folks who are part of the ‘Smart Aid’ collaborative recently conducted a survey to find out more about who reads aid and development blogs, for example, and what they do with the information there. Not just a news and professional education platform, Twitter is also a friend and colleague network. Over the past 3 years, I’ve met a few hundred new people in real life that I initially connected with on Twitter. It’s a great feeling when you are chatting with someone at a conference, and they look down at your name tag (where you’ve penned in your Twitter handle with a Sharpie) and exclaim “Wait! You’re @meowtree!? I’m @so-and-so!” You’ve only just met, but because you’ve connected on Twitter, you already feel like old friends. You can immediately jump into a conversation and continue on with a topic you’d been batting around on Twitter or make plans to partner up on a work-related initiative or simply discuss the fact that you both like the same kind of beer. Last week a colleague alerted me (via Twitter, naturally) that I’d been named by the Guardian as one of the “20 Global Development Twitterati” to follow. It was unexpected, and I’m hugely honored. The Guardian’s Global Development team does fantastic and highly credible work facilitating forward-thinking debates and discussions around development. Being listed alongside the 19 other “Twitterati” is indeed a privilege, as they are some of the leading voices in the aid and development debate. So if you have an interest in development and/or new technology, you can either accumulate a ton of unusable frequent flyer miles and follow my convoluted path, or you can skip all that in-between and simply “Get on Twitter!” Once you do, be sure to follow the Guardian’s list of 20 Global Development Twitterati. But don’t stop there – the Twitterverse is full of brilliant minds and voices that you won’t want to miss if you are serious about engaging in a stimulating global development conversation. Note: this post originally appears on PlanUSA’s blog. Children and adolescent’s participation in decisions that affect them is key. More and more, decision makers are realizing that they need to consult with children when they are making decisions about children, meaning that children have more opportunities to weigh in on issues that impact on their lives. Not knowing how to manage a good participation process or not listening to past lessons learned, however, can make it difficult for children and adolescents to take advantage of opportunities offered them to input into these decisions. A child is anyone under the age of 18. According to the UN Convention on the Rights of the Child (UN CRC), in addition to survival, development and protection rights, children also have participation rights. Children have rights to be listened to, to freely express their views on all matters that affect them, and to freedom of expression, thought, association and access to information. Participation should promote the best interest of the child and enhance the personal development of each child. All children have equal rights to participation without discrimination. Adults involved need to follow ethical and participatory practices and put children’s best interests first. Because there are power and status imbalances between adults and children. An ethical approach is needed in order for children’s participation to be genuine and meaningful. The atmosphere should be safe, welcoming and encouraging. Because in order for children to feel comfortable participating they need to feel safe and supported. Space should be ensured for those groups of children who typically suffer discrimination and are often excluded from activities. Because children, like adults, are not a homogeneous group and participation should be open to all. Child protection policies and procedures are an essential part of participatory work with children. Because organisations have a duty of care to children with whom they work and everything should be done to minimize the risk to children of abuse and exploitation or other potentially negative consequences of their participation. Children’s right to participate is key. However in practice, a safe and open environment for child participation at national, regional and global events can be difficult to ensure. It requires resources as well as a great deal of preparation. those organizing the event or sending children to it simply had no idea that there are standards and protocols and plenty of lessons learned that they should have taken into consideration. For example, back in 2005, several organizations in East Asia and the Pacific* collaborated to produce minimum standards for child participation in national and regional consultation events. These were initially developed for the UN Study on Violence against Children. They offer a comprehensive overview of how to manage child participation and can be used as a guide for other national, regional or global events where children participate. They should be considered whenever organizing, hosting or participating in an event where children are being consulted or their participation is desired. You can have the most amazing and wonderful children present and the very best intentions, but fall very short of your goals of quality child participation because logistics and organization are poor and/or child participation and protection protocols are not followed. Children's responses on what they feared at an event. I do honestly believe that children should participate and have a say in these issues, and that only by listening to children can decision-makers ensure that they are coming to the best decisions that benefit, resonate with, or have the best impact on children’s lives. However unless proper organization, logistics, preparation and care are taken, these opportunities can be frustrating or a waste of an opportunity for everyone involved, and the validity of the efforts can easily be questioned. Child participation needs to be taken seriously, not as an add-on or nice to have or cute to have. Unless and until regional and global events can ensure that this is happening, it might be a better investment to work with children at local and national levels. Event organizers and child participation facilitators need to look at existing protocols, documentation, minimum standards and lessons learned and use them. Organizations shouldn’t be coming up with the same ‘lessons learned’ after every event and repeating the same mistakes at the next one. Surely we can do better than that. *The following organizations participated on the steering committee that elaborated the Minimum Standards: UNICEF East Asia Pacific Regional Office, World Health Organisation, Office for the High Commissioner for Human Rights, ILO IPEC Asia and the Pacific, NGO Advisory Panel on the UN Study on Violence Against Children, Save the Children Alliance, Child Workers in Asia, ECPAT International, World Vision International APRO, Plan International, Terre des Hommes Germany, ASEAN Foundation. Check out the Technology Salon’s page for a round-up of our discussions! Related post on Wait… What? Girl Power and the CGI! Next week I’ll have the honor of (wo)manning the expo table for Plan at the Clinton Global Initiative (CGI) Exchange [the networking event after the actual CGI meeting]. It’s Plan’s first year at the CGI, which is exciting for us as an organization. The project that we’ve committed to is a convergence of many of the things that Plan has been getting deeper and deeper into in the past few years – youth engagement, youth employment, participatory media, social media, ICTs, youth voice, youth-led advocacy, and last but not least, girl power. I’ll be supporting the project with some training around social media and ICTs based on experiences in past projects such as the Youth Empowerment through Arts and Media project. 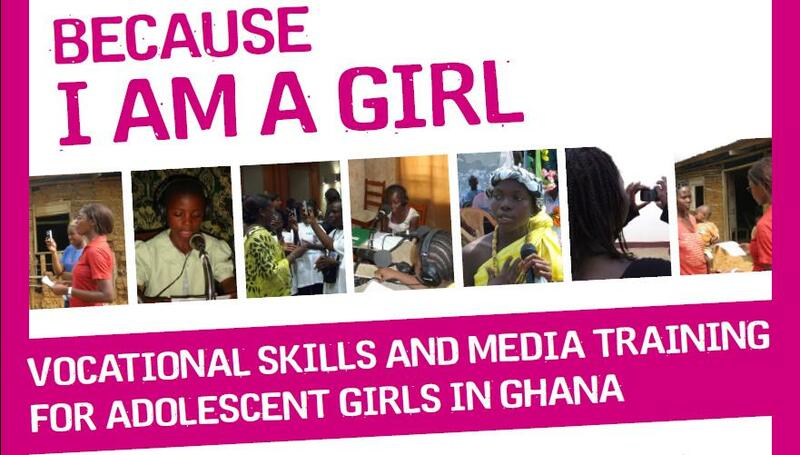 Our commitment, Vocational Skills and Media Training for Adolescent Girls in Ghana, is a three-year project that combines job skills training for girls with media production by girls. The combination of these two elements will give girls key skill sets for employment opportunities while also creating public platforms for girls to raise awareness and advocate on issues affecting them. Through the project 140 adolescent girls will participate in training on media production and journalism, including citizen journalism/social media. Of those, some will go on to participate in an internship program to do hands-on work in media. The girls will be trained on how to use diverse types of media, including traditional as well as new media, to advocate against gender discrimination. Adult journalists will participate in Plan’s training program on child rights and gender respect in media. In the process, the project will engage the public through radio, television and web communication around the challenges that adolescent girls face in West Africa at the community, national, and regional levels. Participating girls will also have opportunities to meet and share experiences with each other and their female Ghanaian journalist mentors. I really like this project because it brings so many critical elements into one initiative. More and more Plan is supporting this type of work in Africa, and it really makes a difference in the youth themselves in terms of skills, self confidence, team work, and learning how to communicate issues of importance in a confident and respectful way. It helps them access information and new skills that help them find employment. It also has an impact on communities who see their youth in a new light and who become more open to dialogue with youth around issues that youth want to discuss but may not be able to bring up in existing forums. The media produced by children and youth can raise awareness and encourage dialogue at the national level, and it can be presented in global meetings to bring youth voices and a dose of reality into high level discussions. It can be shared on the internet to engage and involve people in other parts of the world, and to break down stereotypes about Africans. I also think one outcome will be that the participating girls and women will contribute to modernizing the field of journalism in Ghana because they will be trained on new media tools and they will likely think seriously about how girls are portrayed by the media in the future. Plan’s research “Because I am a Girl: The State of the World’s Girls” came out in 2007, highlighting the urgency for us to focus more programs on girls as key players. Out of this report, a decision was made to make girls Plan’s key focus over the next several years, and the Because I am a Girl Campaign was launched. Since then, two in depth studies have highlighted specific issues: Because I am a Girl: In the Shadow of War (2008), and Girl’s Economic Empowerment (coming out later this month). Come by our table to say hi if you happen to be at CGI exchange!